If you play with beads for awhile, and you work on putting your own spin on the projects that you do, rather than always following the suggested colorways of the designer, then you know how much changing the color can change the feel of a piece. My other love besides making wearables is, predictably, making quilts, collages, and other mixed media pieces. They often, but not always, have beads on them. 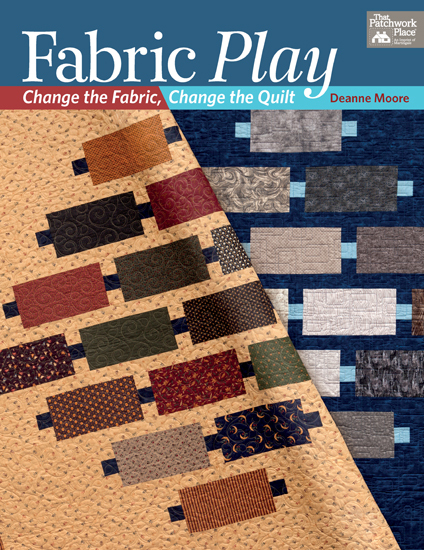 I got excited recently when Martingale sent me a review copy of Deanne Moore's new book Fabric Play. She includes 14 graphic designs that will change quite dramatically as you change the fabrics. 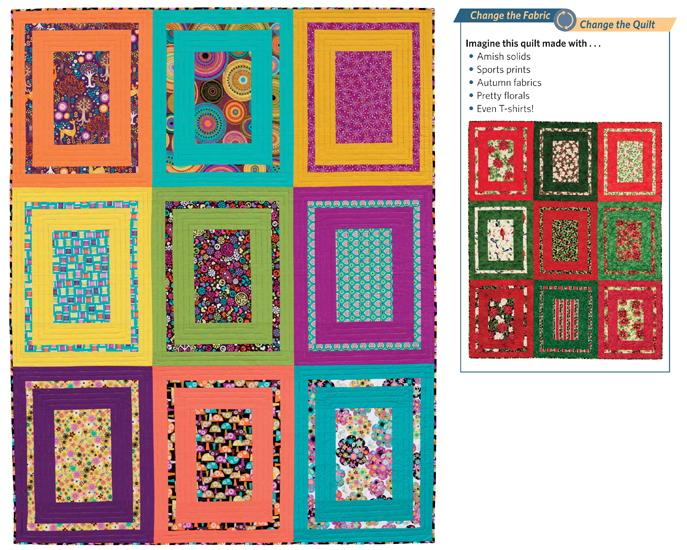 You can transform any of these patterns from traditional to ultra-modern depending upon your own choices. Each project is photographed in two completely different styles to help you get going. And there are coloring diagrams to help you create your own! 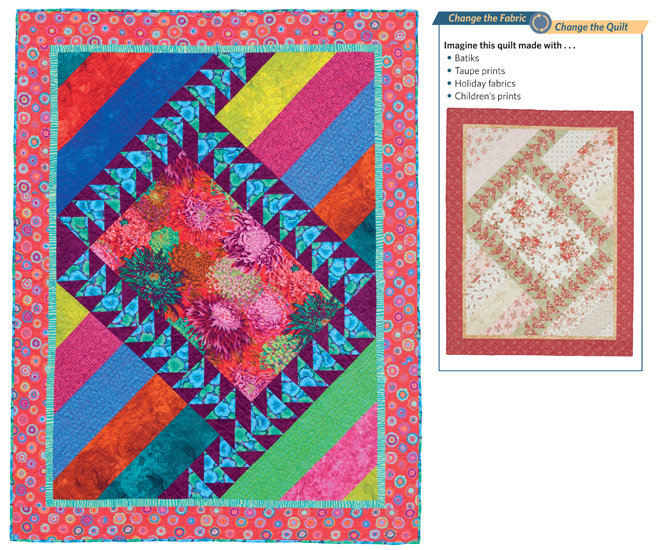 If you've not quilted before, this book presents designs that are possible for all skill levels. 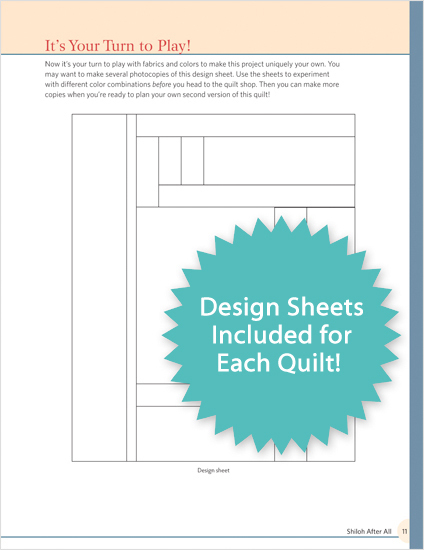 Every Martingale quilting and sewing book also has a wonderful section that presents the basics, and each project lists exact amounts of fabric needed in each color, so fear not!